Are you interested in buying a home in the Tampa Bay Area? If so, I would welcome the opportunity to help you find your next home in Tampa Bay. Buying a home is a process that most people do not go through every day. 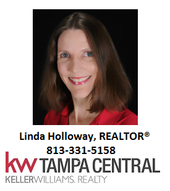 As a REALTOR® in the Tampa Bay area, I work to provide value to you and to make your process of buying a home as stress-free as possible. You can be as involved in the process as you want to be. The process of buying a home begins with a buyer hiring a REALTOR® or real estate agent. This decision is as important as the home you choose to buy. The first time we meet, I will listen to what is important to you, your family, and your lifestyle in your search for your new home. I will educate you as much (or as little) as you like on the process of presenting an offer on the home you wish to purchase. Once we start looking at homes, we need to be prepared to act fast when we find a home you like. This is one of the reasons a buyer should be pre-approved for a loan before we start looking at homes. During the process of presenting an offer, I help you negotiate the best price possible for the home. When an offer is presented and accepted, a buyer often thinks the hard part of the process is over. Once again, I provide value by organizing the details including the inspections and overseeing the transaction until the closing. Again, you can be involved in this process as much or as little as you want to be. The process of buying a home is usually complete at the closing table when the keys to your new home are in your hands. Congratulations are in order because you have successfully completed the purchase of your new home! It would be a privilege for me to meet with you and guide you through the process of buying your next home in the Tampa Bay area.